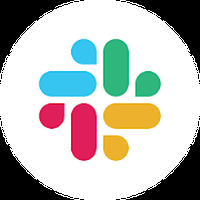 "To make your daily life more productive"
App description: Slack is a versatile communication application that aims to facilitate the collaborative work and exchange of information among its users. Functions: Among other functions, the app allows you to organize conversations by topics, projects and groups, exchange messages with co-workers (in groups or individually), share documents and images, integrate other tools such as Drive, Salesforce, Dropbox, Twitter, etc. , customize notifications, and more. How to use: To use the app, you need to make a brief registration and set a password for the login. Controls: The app has an organized and very intuitive interface, which allows you to navigate through gestures. Developer: Tiny Speck is based in United States	- Reliable Android developer in the Android Community. Installation requirements: A minimum of 37.21 MB of free memory space and Android OS which Varies with device. Ranking: The TOP 1 Most downloaded applications in Messenger category. My work life is simplified!